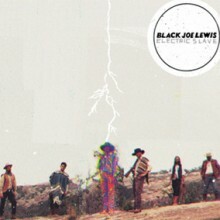 Vagrant Records recently announced they had signed Black Joe Lewis and would release the group’s new album Electric Slave on August 27th. The band has released the track listing for the effort as well as the opening song “Skulldiggin” which you can stream below. Black Joe Lewis will be on tour supporting the album in September. The band will tour supporting Electric Slave beginning in September, playing a number of shows along the east coast including a show at New York’s Terminal 5 on September 26. For complete itinerary, please see below.